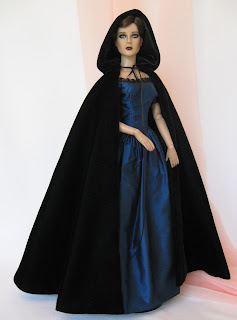 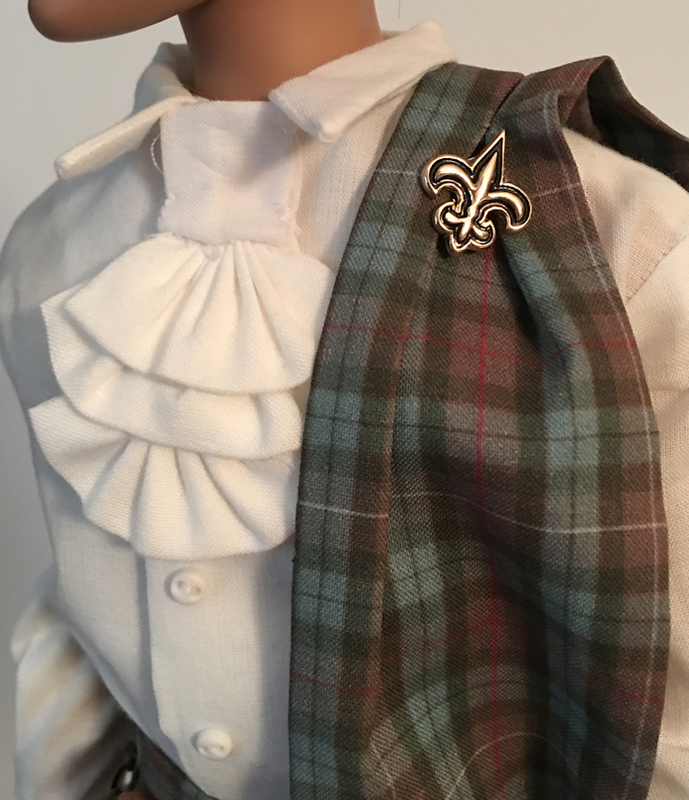 Exclusive "Outlander" Claire doll wearing a reproduction of gown worn in Paris in Season 2. 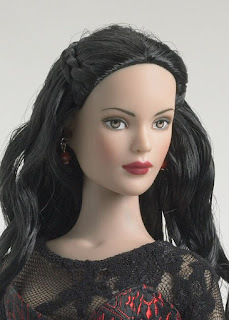 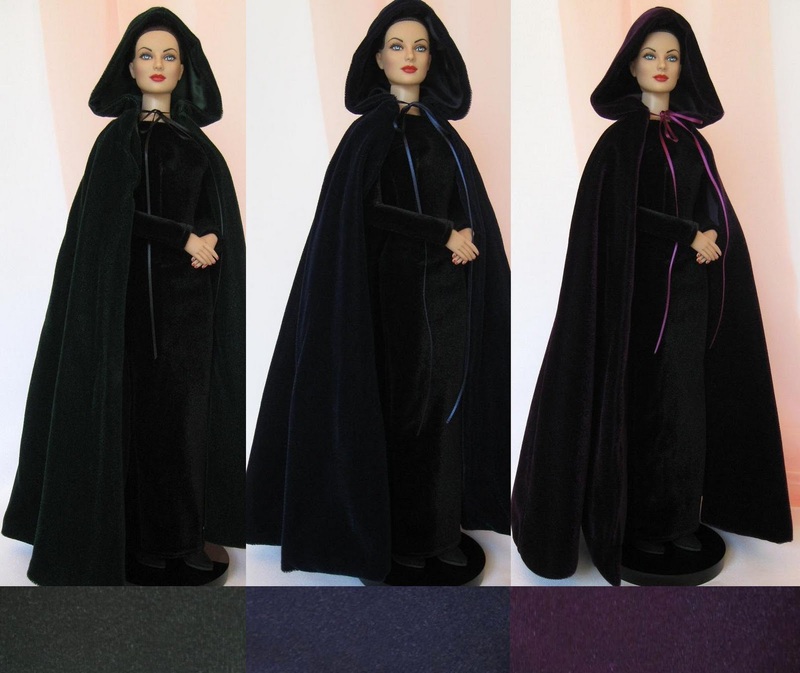 Made for Tonner Chic body, but may fit other similarly sized fashion dolls. 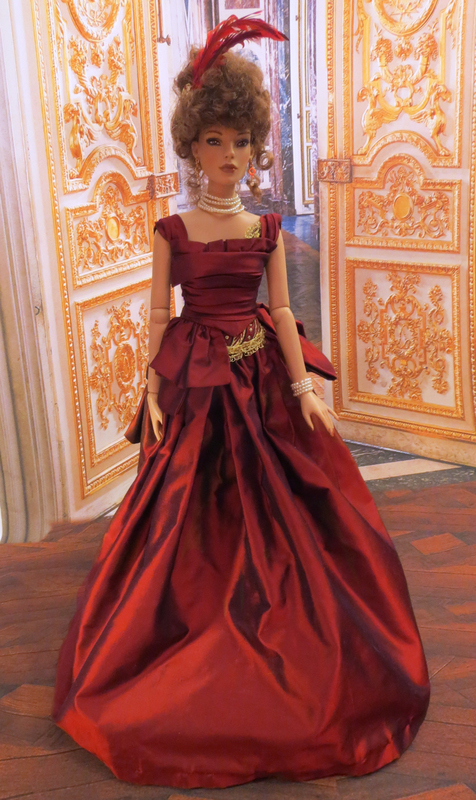 Inspired by gown worn in "Anna Karenina" with Keira Knightly. 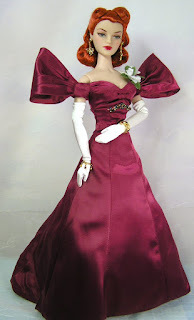 Outfit includes 2 piece dark red gown, feathered headpiece, shoes and jewelry. 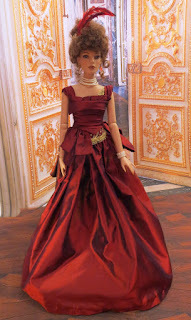 Color is more accurate in the centerpiece photo than in the pictures in front of the gold doors. Made for Tonner Matt body, but may fit other similarly sized male dolls. 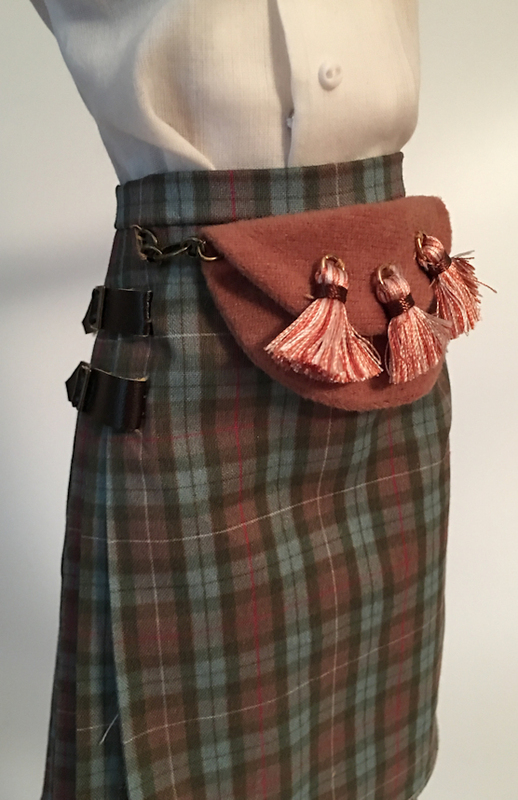 Kilt set includes cotton pleated kilt with attached sporran and drape, magnetic fleur-de-lys brooch to hold drape in place, white ruffled shirt, knee socks with red flashes, and brown boots. 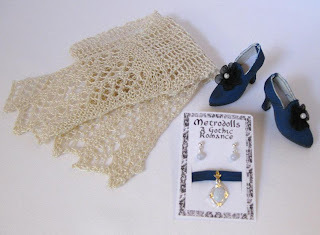 "Great Gatsby"-inspired dress and accessories. 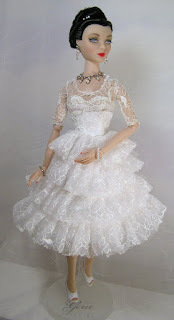 Will fit most 16" fashion dolls. Modeled on Gene. 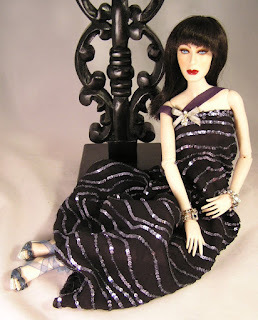 Outfit includes dress in original fabric designed by Marian Jasper, necklace, shoes and stockings. Tonner's Daphne sculpt on an Antoinette body. Ultra-Basic doll wears a blue lace floral teddy. Raven doll has green eyes and Redhead has brown eyes. photos courtesy Tonner Doll Co. 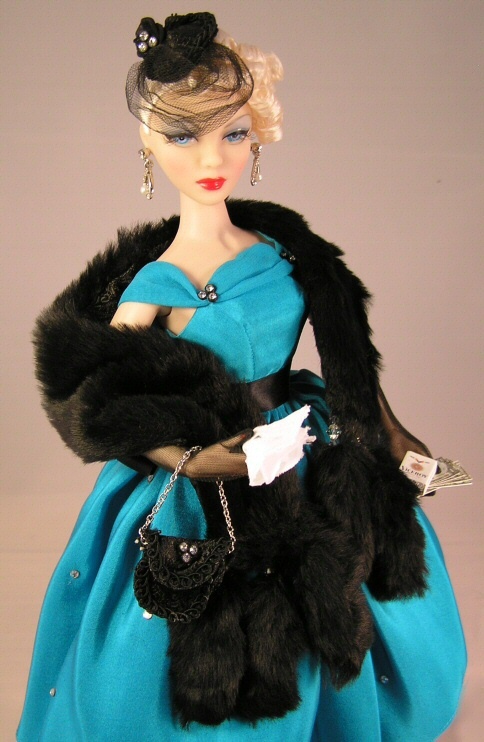 Integrity "Suited for Fur" Gene doll with hair restyled by Michael Giunta. 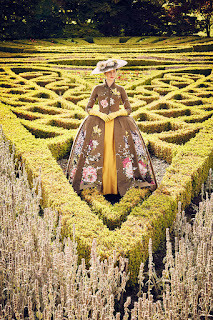 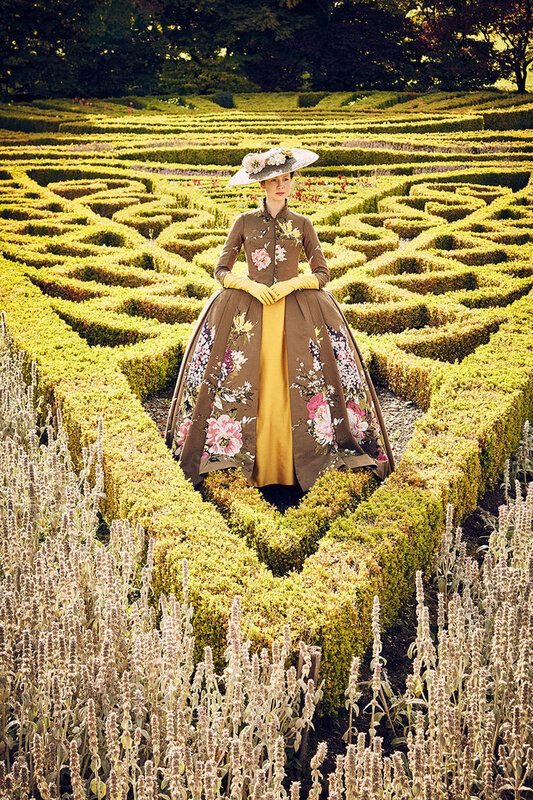 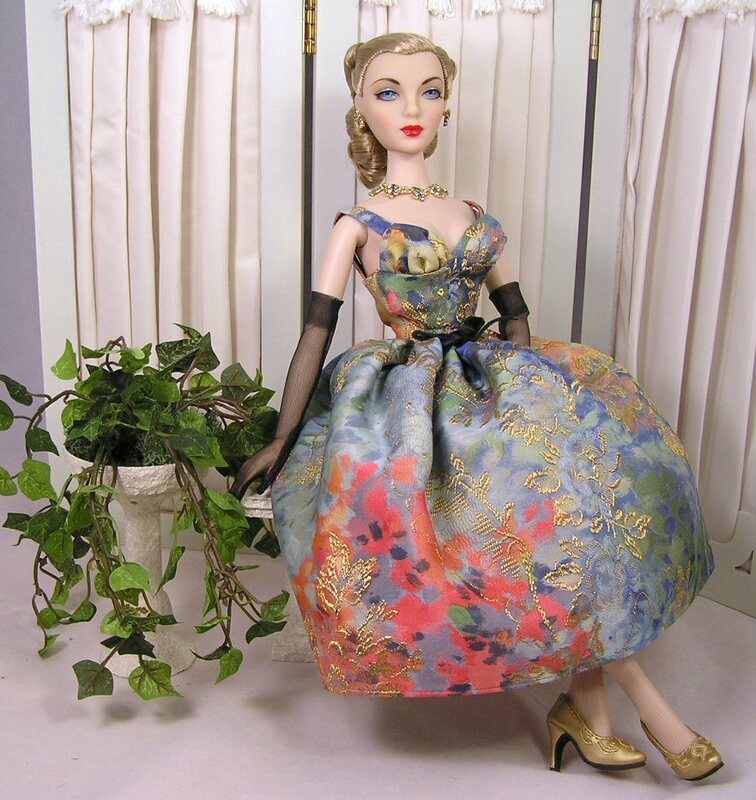 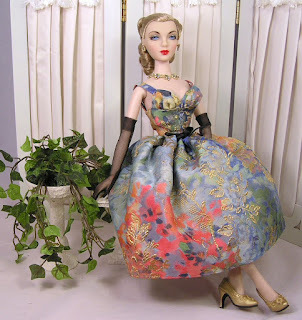 She wears a vintage garden dress of impressionistic brocade, gold shoes, gloves, and jewelry by Facets. 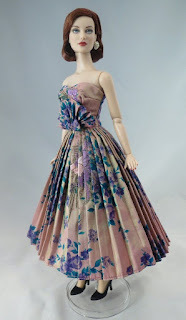 The dress was made by Virginia Harwood. Centerpiece came with lightweight faux stone bench and urn of ivy. 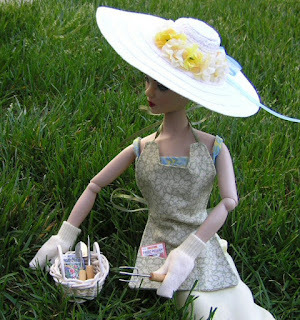 Cotton sundress with reversible skirt, hat, shoes and belt. 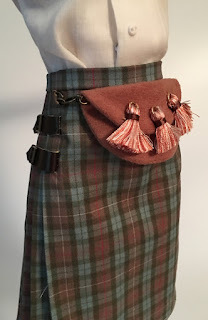 Aprons by Mike Basala and gloves by Jen Perski. 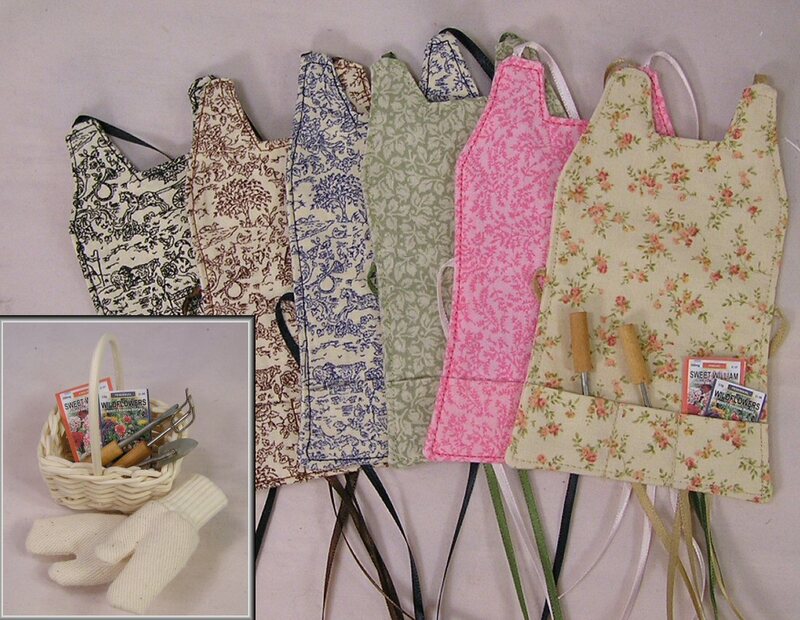 Set includes 3-pocket apron, garden tools, gloves, and seed packs (flat miniatures) and optional basket (style varies). 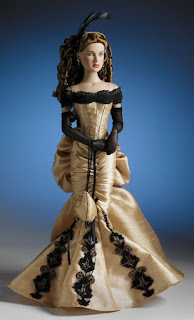 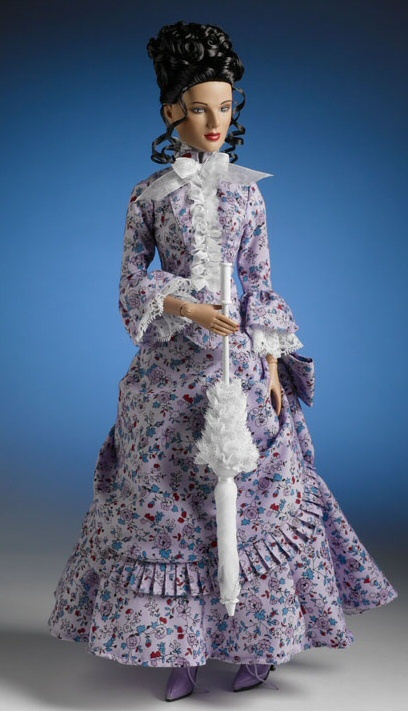 16" Tonner fashion doll with debut face sculpt dressed in an exquisite period fashion inspired by "Show Boat". Also includes a 5"x7" print of Brian Bulkley's artwork of this doll, commissioned by MetroDolls. Period style day dress in lavender print. 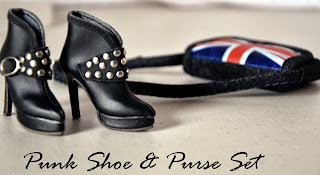 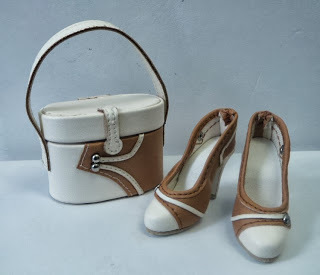 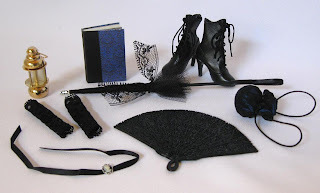 Includes parasol and boots. 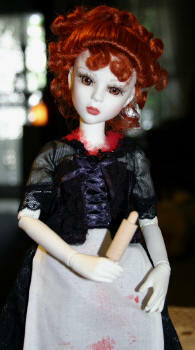 Also includes a 5"x7" print of Brian Bulkley's artwork of this doll, commissioned by MetroDolls. 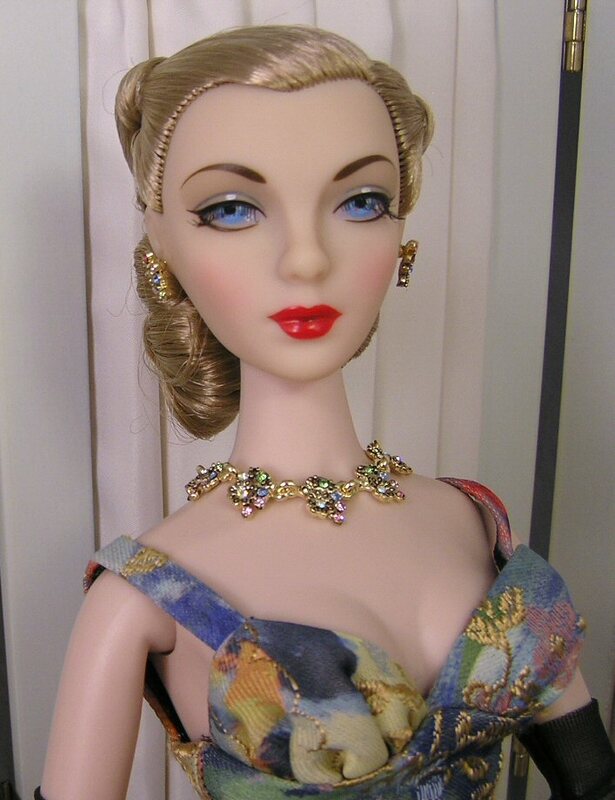 "Julie" uses the Tess Trueheart sculpt done in a tan skin tone and with an elaborate up do. 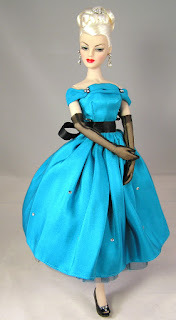 1950's style aqua silk cocktail dress with Swarovski rhinestone accents. Includes 2-tone multi-layered tulle petticoat, gloves and rhinestone accented shoes. Fits almost all 16" fashion dolls. 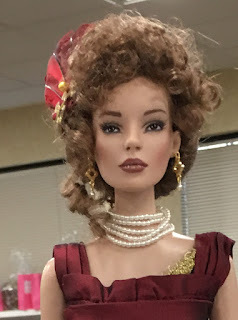 Scaled for a 16" fashion doll. 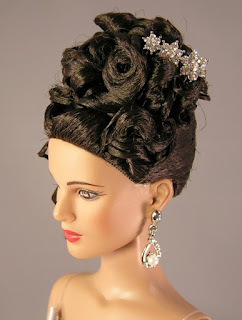 Rhinestone/pearl drop earrings and 3-pronged flower/star hair comb to accent your doll's hairdo. Includes luxurious black faux fur stole with tails and Swarovski crystal accents, black purse, cocktail hat with rhinestone accent, vintage cotton lace handkerchief, mini-money and a vintage faux cigarette pack. 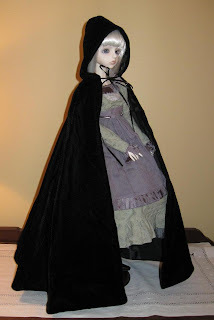 For 16" dolls. Gold and silver metal Metro Award. 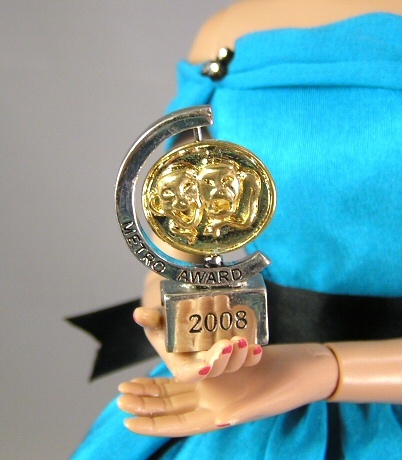 Gold coin portion rotates and is embellished with comedy/tragedy mask design. Approximately 1 1/4" tall. 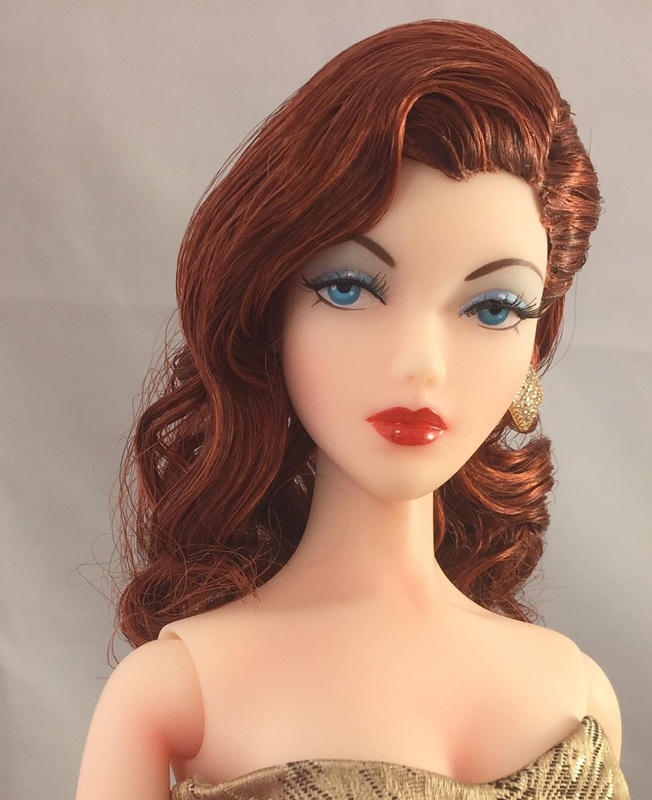 43cm vinyl BJD using Innuendo face sculpt in a pale white skin tone. 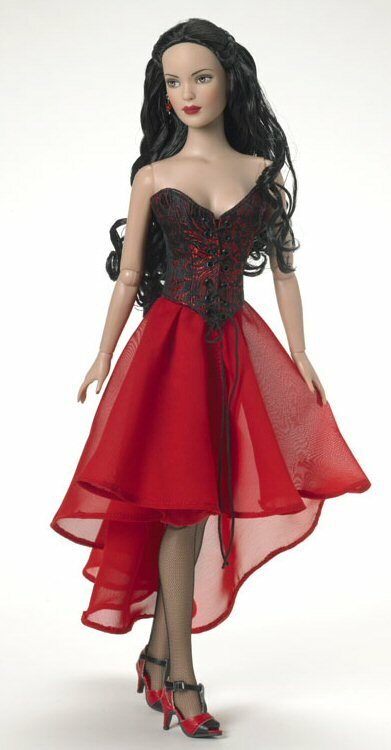 Comes with black short dress trimmed in red at the collar, corset, red and black long tulle underskirt, "bloody" apron, rolling pin, boots and 2 wigs (carrot red up do and bright red modern style). 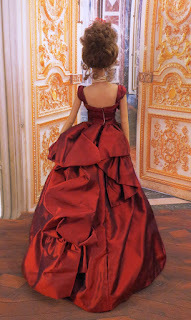 Inspired by Hollywood photos and a Helen Rose gown in the collection of John Davey. 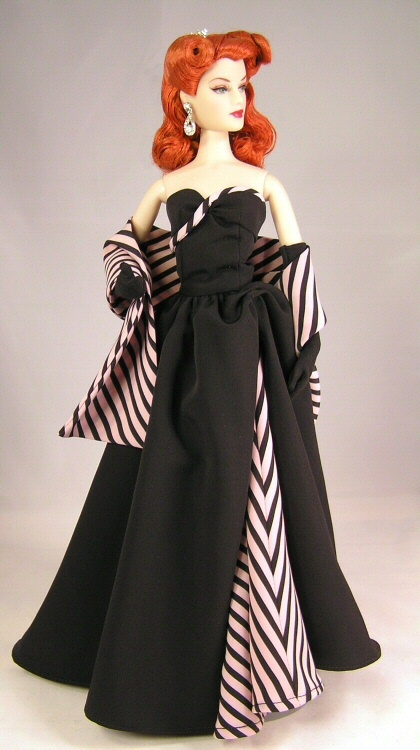 Black silk over pink/black stripe underskirt. Includes stole, petticoat, gloves and shoes. 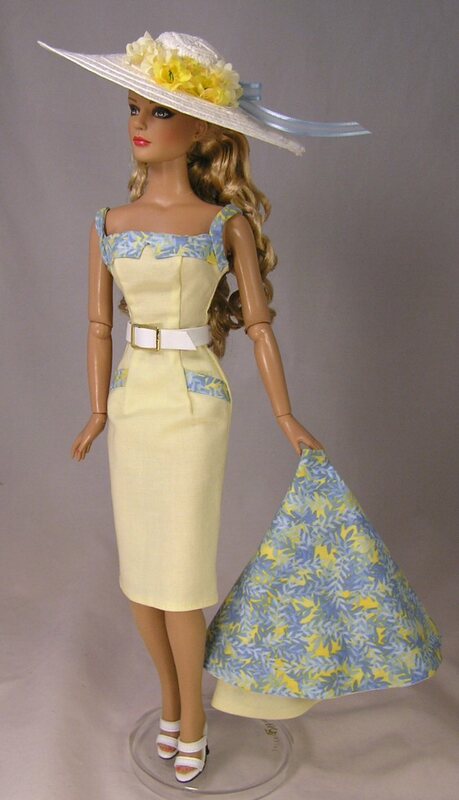 Fits most 16" fashion dolls. 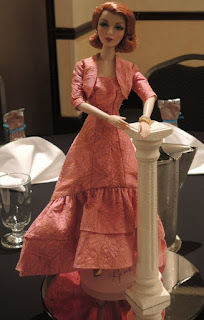 Suzette is an exclusive Tonner sculpt for Cherished Friends Doll Shop, who allowed us to use her as our event souvenir doll. 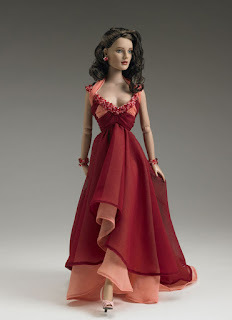 Suzette has variegated wavy brunette hair and wears a layered cranberry and bright rose chiffon gown. Also included is a 5"x7" print of Brian Bulkley's artwork of this doll, commissioned by MetroDolls. Shauna uses the Sweetheart/Queen of Hearts sculpt. 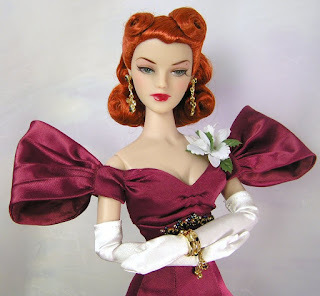 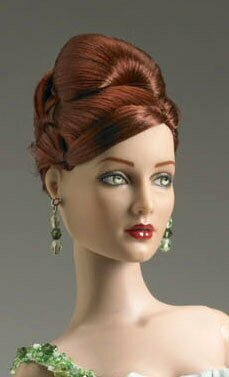 This doll has deep red cognac hair in an up do and dramatic side glancing olive green eyes to compliment her celadon green asymmetrical chiffon cocktail dress. 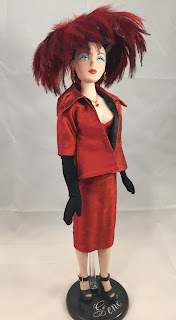 Also included is a 5"x7" print of Brian Bulkley's artwork of this doll, commissioned by MetroDolls. Scaled for a 16" fashion doll. 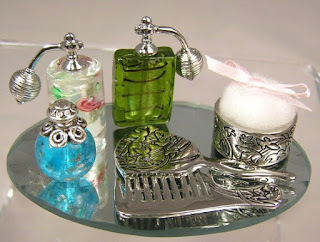 Includes comb, hand mirror, powder tin with cotton puff, mirror tray and 3 Murano glass perfume bottles - 2 with atomizer tops. Perfume bottles vary in each set. Below picture shows a few of the 50+ different bottles made. This gorgeous CED doll was the centerpiece at our 2007 MetroCouture luncheon. She has a long straight brunette wig with a blonde streak. 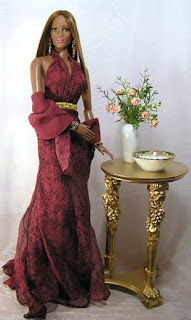 She comes with a gold table, hinged cuff bracelet by Facets by Marcia, a floral arrangement by Annie's Florals (3 different ones - random), and a Limoges bowl from France. 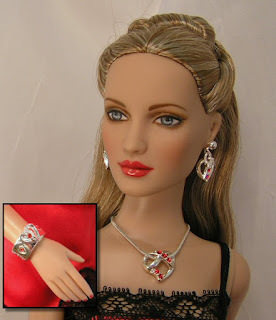 Silvertone chandelier earrings and hinged cuff bracelet with Swarovski crystal rhinestones. by Karen O'Brien and produced by Bella Productions! 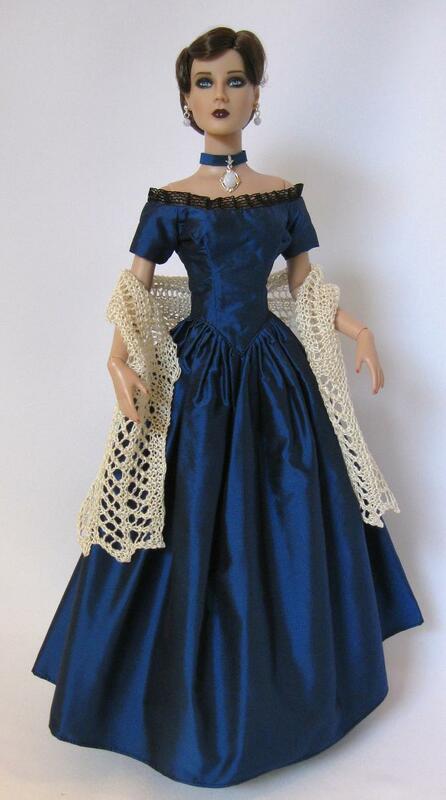 This outfit fits almost any 16" fashion doll. 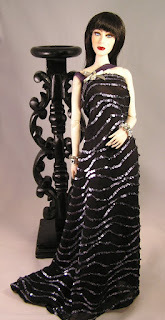 A silvery under dress with pleated bottom is covered with black lace and geometric cummerbund. 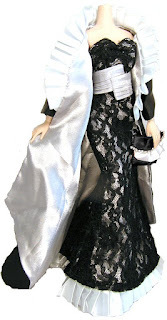 A black opera coat lined in silver with pleated ruffled collar, matching purse and shoes complete the look. 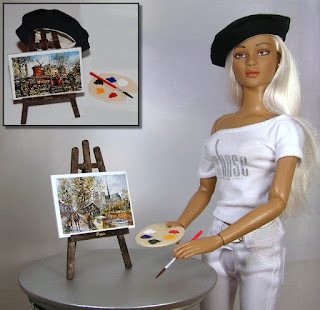 This adorable set consists of a wood palette and paintbrush, a Paris painting and a beret made by Jen Perski. Paintings vary (all Paris scenes) and there are 8 - 10 different ones available. 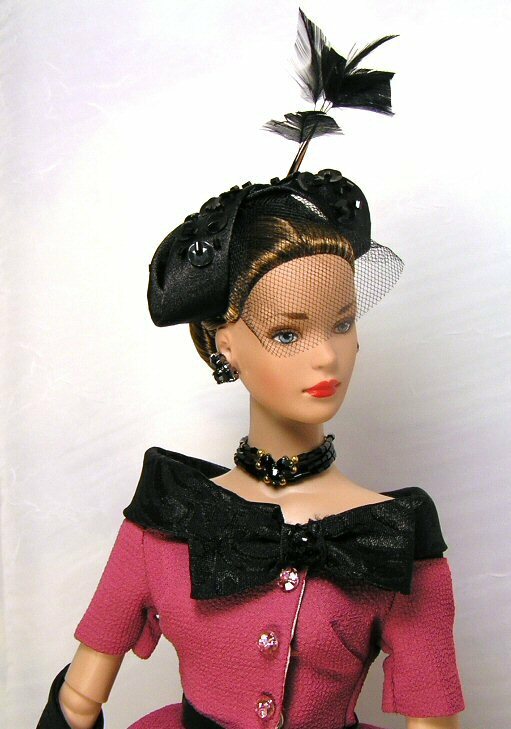 1950's asymmetrical suit in deep rose crepe with black jacquard lining and details. This complete outfit includes strapless dress, jacket, belt, gloves, purse, shoes, jewelry, and hat. Also included is a 5" x 7" print of Brian Bulkley's artwork. 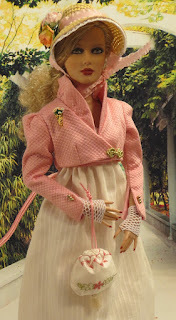 This outfit fits most 16" fashion dolls and is shown on the right on Gene, and Tyler. Carrot haired Madra with a lovely vintage hair style wears a burgundy satin gown with jeweled detail and corsage. 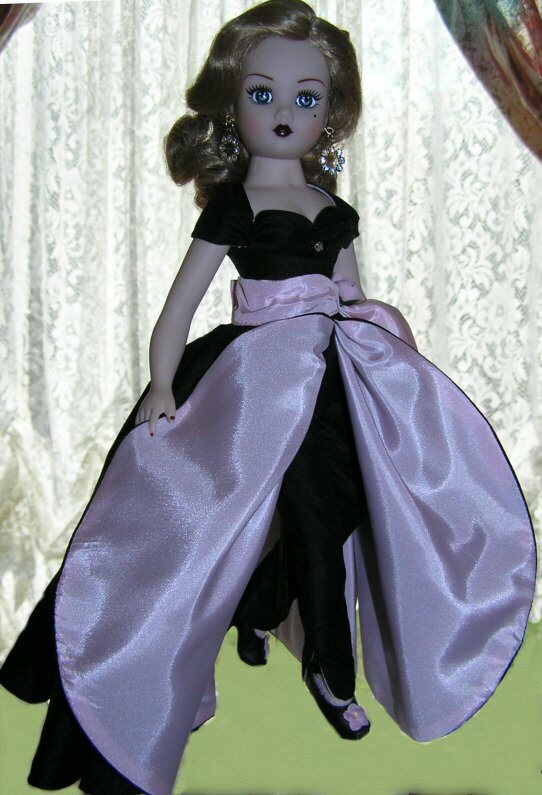 This white version of Gene's Sambucca outfit was also used on our Gene centerpiece dolls, a restyled Essentially Blush Gene. 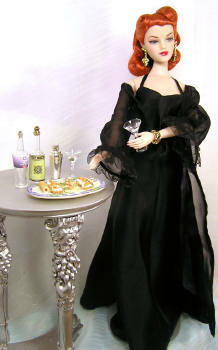 1950's style cocktail ensemble in sumptuous black brocade with red, white and black accents. 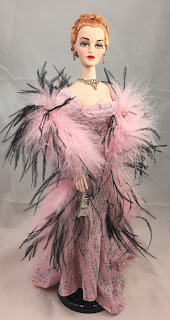 This complete outfit includes dress, petticoat, gloves, purse, shoes, rhinestone jewelry, and feathered hat. 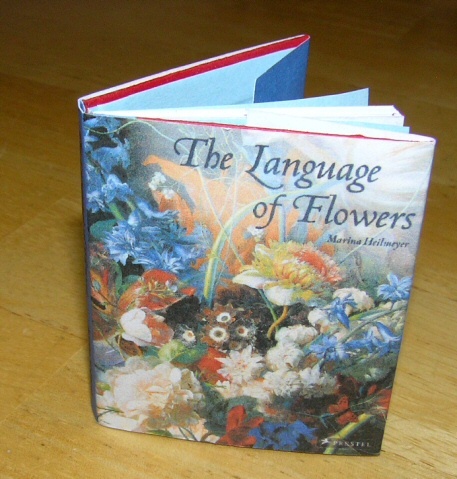 Also included is a 5" x 7" print of Brian Bulkley's artwork. 2 pieces of luggage scaled for 16" dolls, including a round hatbox and square train case. 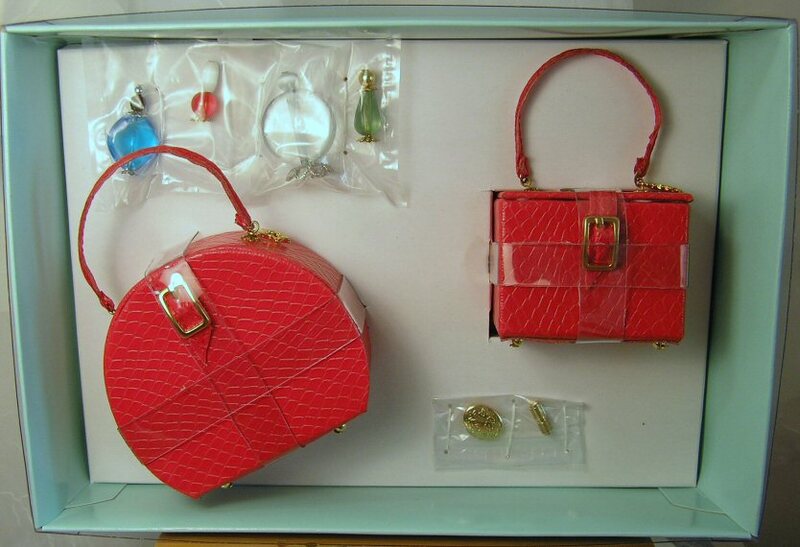 Both are finished in red faux alligator with zebra plush inside. 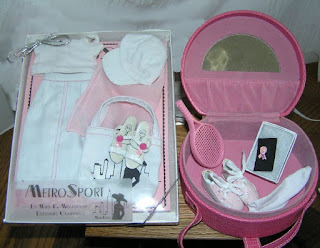 The train case includes a mirror and lift-out tray. 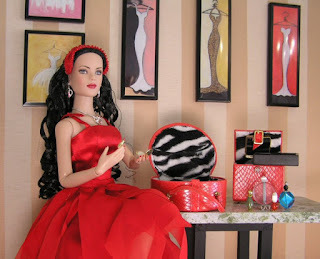 Also included are a variety of "perfume bottles", lipstick and a compact. 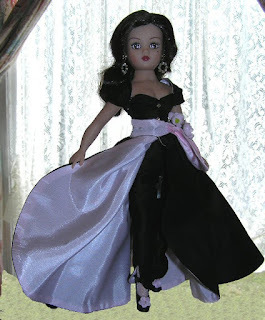 by Marie Migliaro of Dreamgirl Originals and produced by Bella Productions! 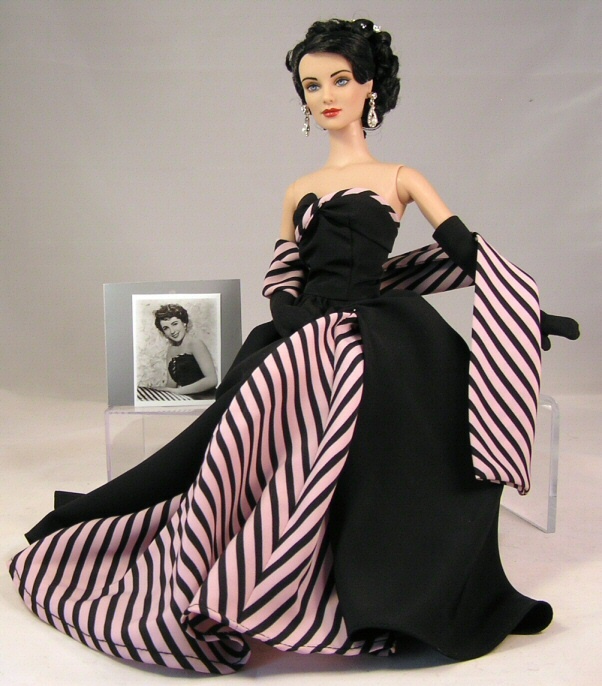 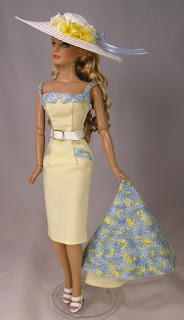 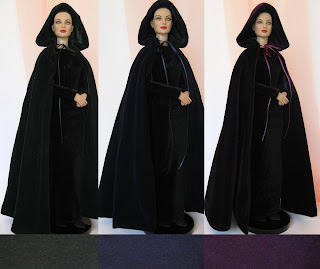 This outfit was designed by Marie Migliaro to fit almost any 16" fashion doll. 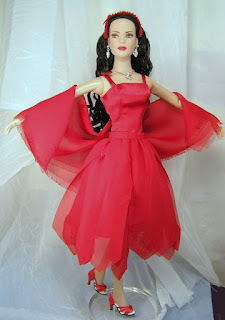 It includes a silk slip dress with gored skirt, a frayed chiffon petal overskirt, frayed chiffon shawl, bandeau hat, purse and shoes. Bright red sparkling Swarovski crystal rhinestones adorn these silver metal shoes, made to fit Tyler & friends. Silvertone slide necklace pendant in a heart shape with bright red Swarovski crystals. Set comes with matching earrings and hinged cuff bracelet. 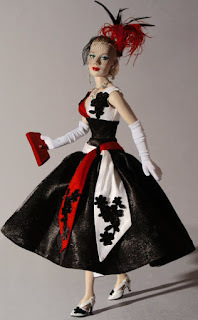 Queen of Hearts sculpt with variegated ash blonde hair. She wears a red chemise with black lace trim and a black lace robe/jacket. 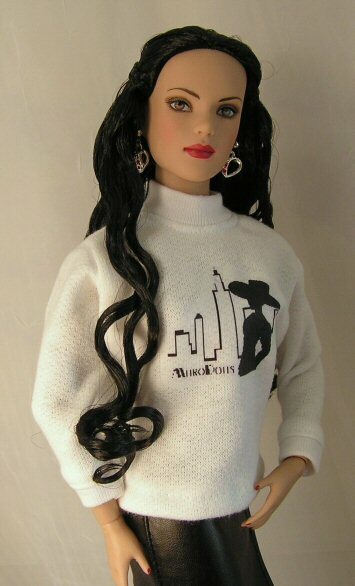 Great sweatshirt with MetroDolls logo - fits 16" dolls. Our souvenir doll from our first luncheon in 2005. 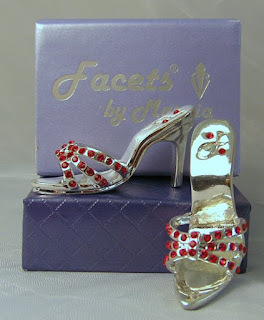 Sydney came with an additional jewelry set by Facets by Marcia and artwork by Brian Bulkley. 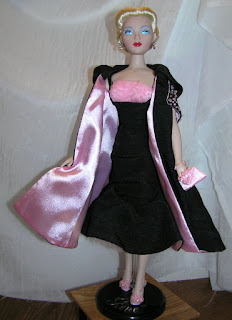 A special pink/black variation of the Glissando outfit. Includes dress, opera coat, hose, shoes, purse, bracelet and earrings. Produced by Ashton-Drake exclusively for MetroDolls.